Please sign up with us by calling, dropping in or emailing us using the Quick Contact feature on this website. We can also keep you informed of new upcoming activities. 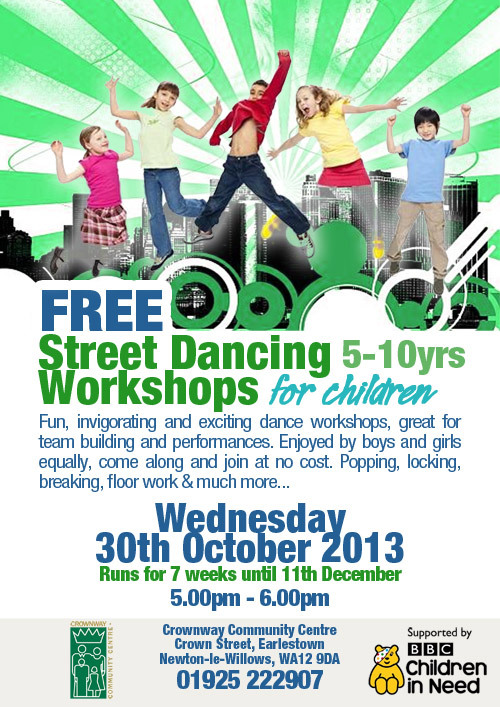 Street Dancing is part of a Children in Need funded programme of workshops aimed at 5-10yrs and 11-15yr olds.